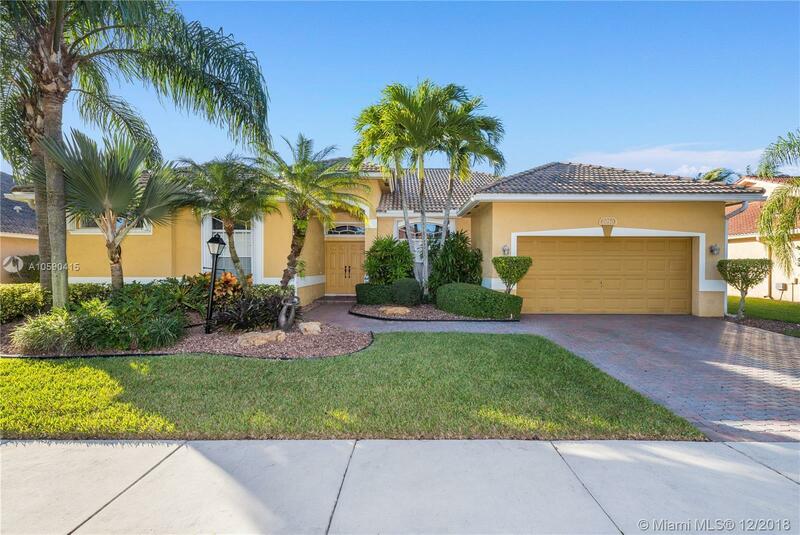 2050 NW 125th Ter, Pembroke Pines, FL.| MLS# A10590415 | Susan J Penn l Best Agent l Buy & Sell South Florida Homes! Immaculate, 5 Bed, 2.5 Bath, Princeton V Model POOL HOME in Prestigious Pembroke FallsâMajestic Bay: Open Kitchen, SS Appliances, Spacious Master Suite, His & Hers Closets, Dual Sink Vanity, Soaking Tub, Neutral Tile & Laminate Flooring, Accordion Shutters, Expansive Covered/Screened-in Patio, Decorative Stone Pavers, Refreshing Free Form Pool w/Sun Deck, Swim-out & Custom Waterfall Feature, Natural Gas BBQ Hook-Up, Tropical Landscaping & Fenced Grounds. Resort Style Club House: Heated Pool, Spa, Gym, 8 Tennis & 6 Basketball Courts, Ballroom, Tot-Lots, 4â24hr Manned Secure Entrances, Activities Director & Onsite Management. Natural Gas Equipped Homes. HOA includes: Fiber Optic HD Cable, Wireless Internet & Alarm Monitoring. Convenient to Shopping, Dining, Entertainment & Schools.